So sad to see the Ol' Possum go. RIP, sir! I like his mannor of singing, gental. R I P G Jones. has long as i listen to him his songs always made a difference, may God welcome him with open arms , GOD BLESS. RIP GEORGE.YOU WILL DEEPLY BE MISSED. George Jones!!! Back in the days when I was singing, this is what the audience would yell out to the male vocalist! 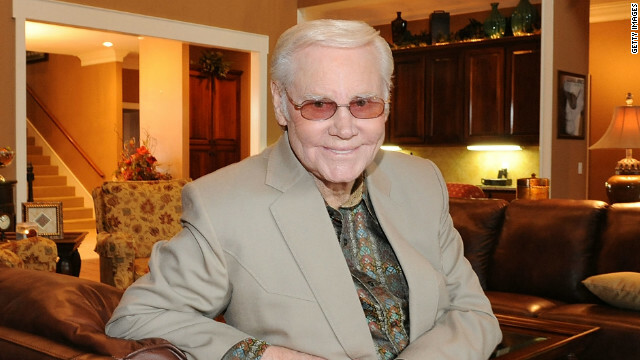 Not a big fan of country music, but I'm a fan of George Jones! "If drinkin don't kill me, her memory will"! Thanks for all the great songs Mr. Jones, RIP!! don't know him...don't like country music either...well...glen campbell...he was my crush...rhinestone cowboy! As a musician, I want to congratulate the music-store owner in Pennsylvania who fatally shot the alleged robber who allegedly attacked him and his wife with a club in his store.